5th December 2015, 8pm, ‘Songs of the Season’ Christmas concert. Tramore Cultural Arts Centre, Love Lane, Tramore, Co. Waterford. 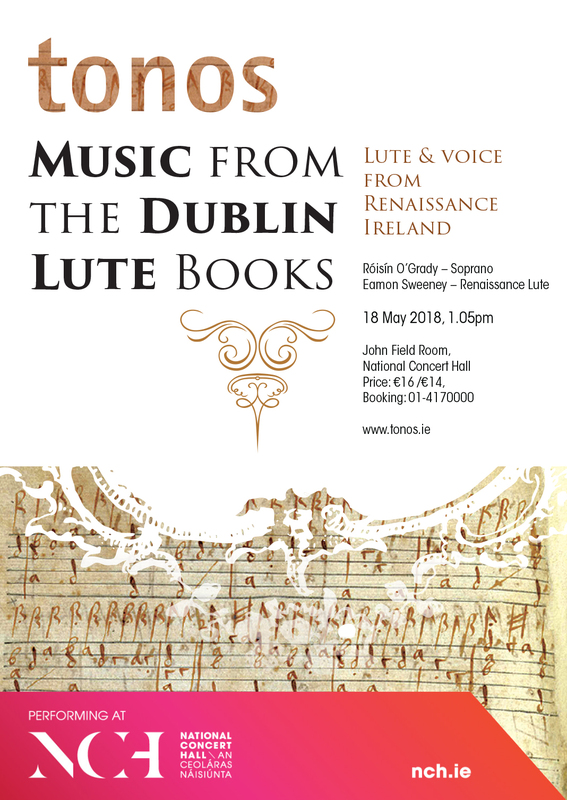 Tickets €14/12, complementary mulled wine. Phone Coastguard at (051) 391656. 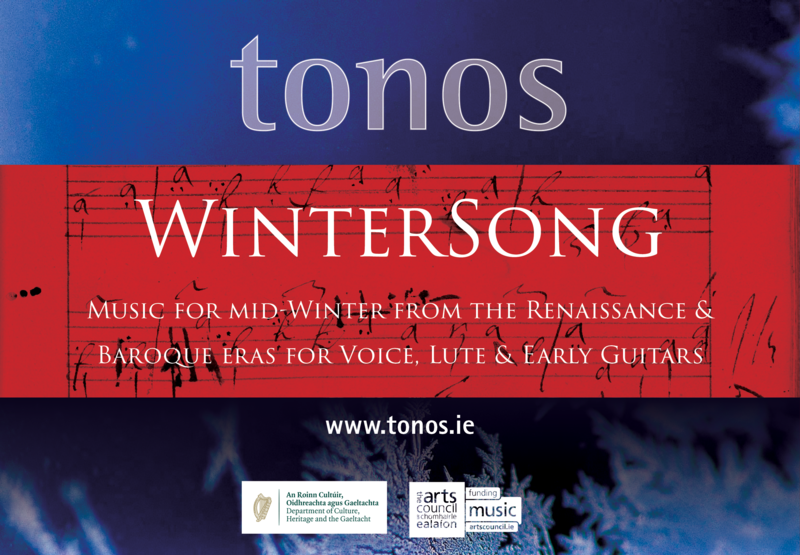 1 Dec 2011 Nollaig – An Early Music Christmas Concert. Christchurch Triskel Arts Centre, Cork. 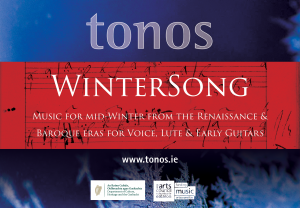 13 Dec 2010 Nollaig – Christmas Music of the 16th, 17th & 18th centuries. Chapel Royal, Dublin Castle. 2 Oct 2010 The Flight of the Earls; Sligo Festival of Baroque Music: Model Arts Centre, Sligo. 5 Aug 2010 Music of the Wild Geese’ Northside Music Festival: St Canice’s Church, Church St. Finglas South,Dublin 11. 20 Jul 2010 Music of the Wild Geese’ Feile Iorrais: Geesala Church, Belmullet, Mayo. 18 Jul 2010 Music amongst the Mosaic; Church of the Ascension, Timoleague, Co Cork. 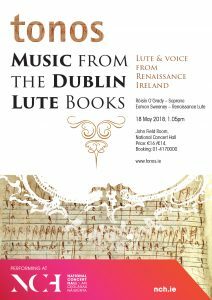 16 Apr 2010 Songs of Love from the 17thCentury; St John’s Church, Limerick. 10 Oct 2009 Music of Love, Longing and Lust, Calary Church, Roundwood, Wicklow. 24 Apr 2009 Music of the Wild Geese 1.05pm, John Field Room, National Concert Hall, Dublin. 26 Feb 2009 Royal Society for the Arts, London. 12 Feb 2009 School of Music and the Sonic Arts, Queen’s University, Belfast. 27 Sep 2008 Dublin Philharmonic Society, Dublin. 4 Jul 2008 International Guitar Festival of Ireland, National Gallery of Ireland, Dublin. 26 Apr 2008 Mermaid Arts Centre, Bray, Wicklow. 22 Feb 2008 John Field Room, National Concert Hall, Dublin.